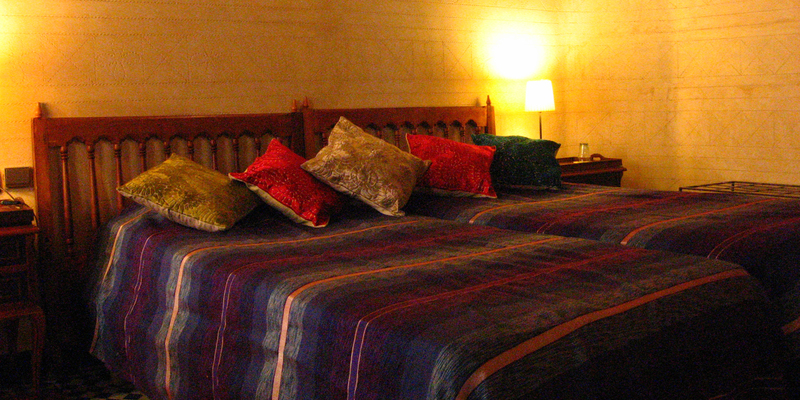 The Zarka Room is located on the mezzanine. 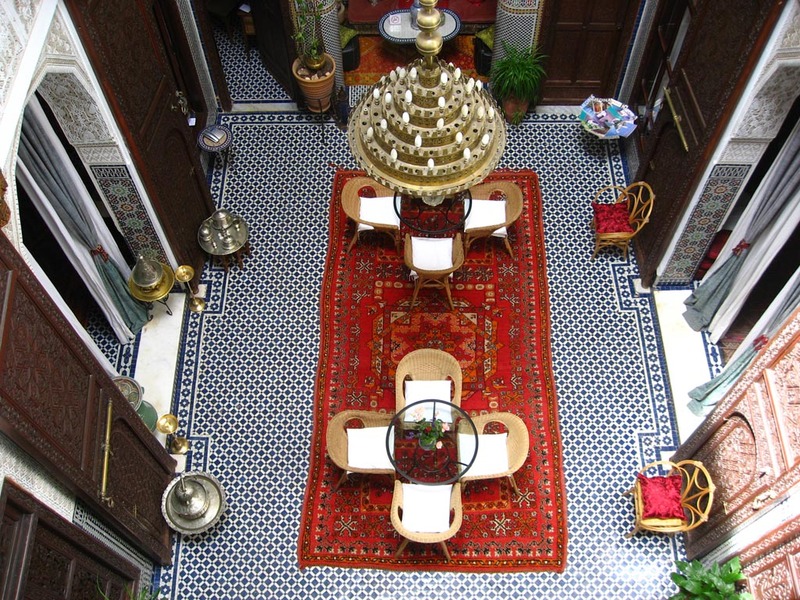 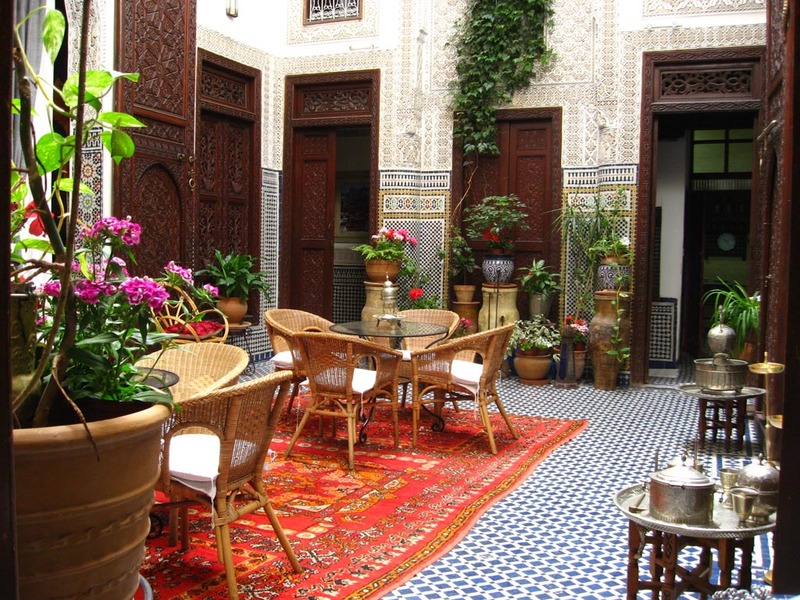 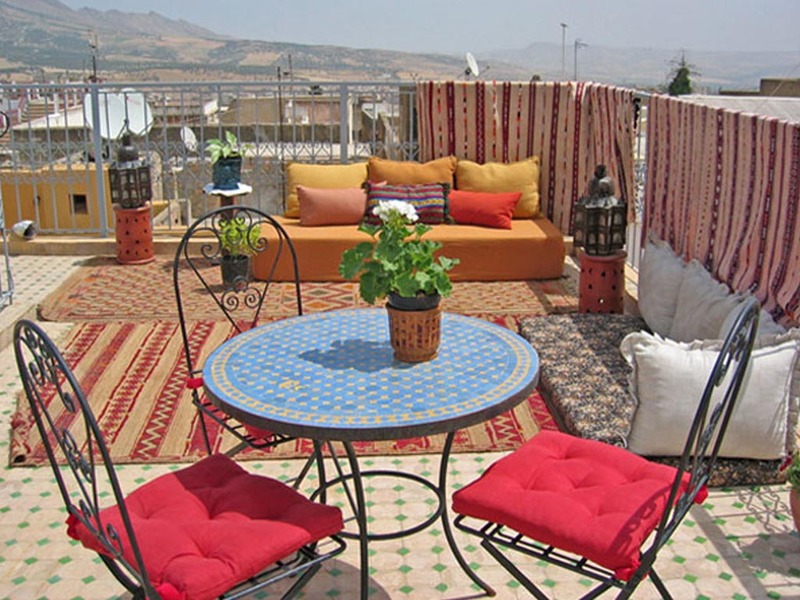 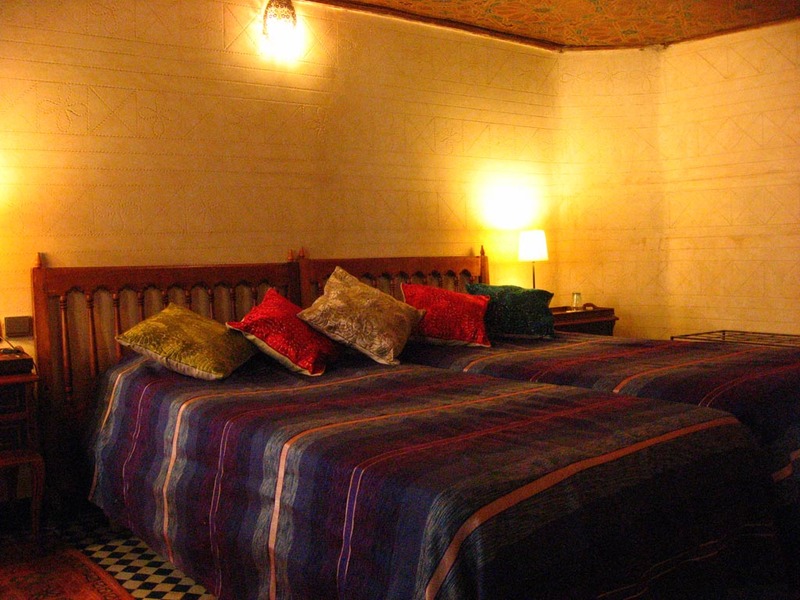 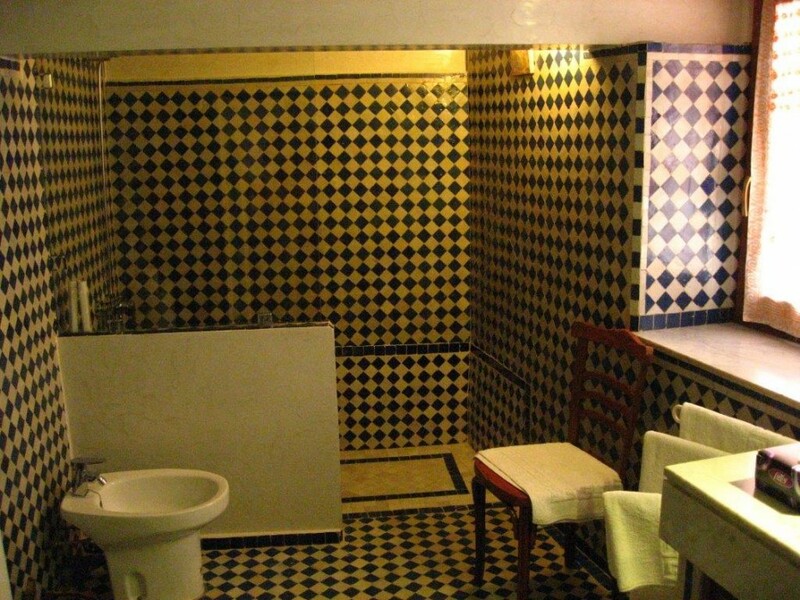 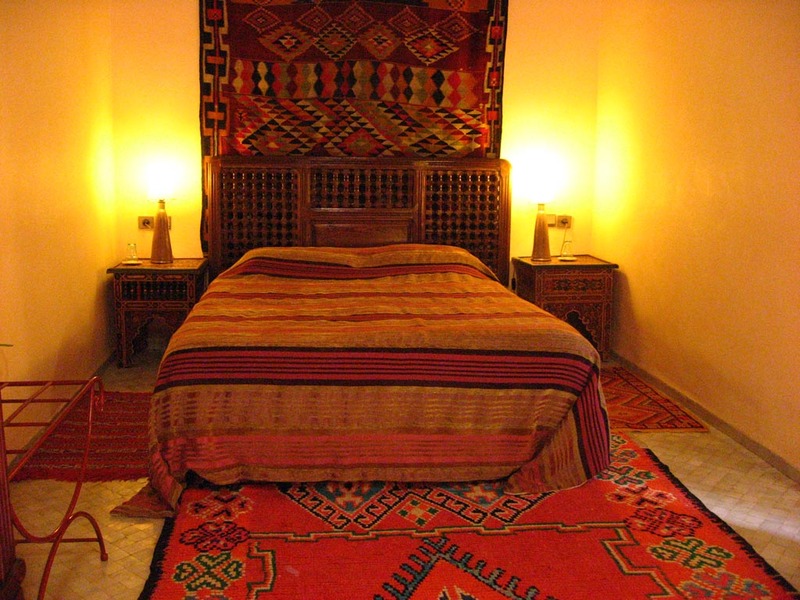 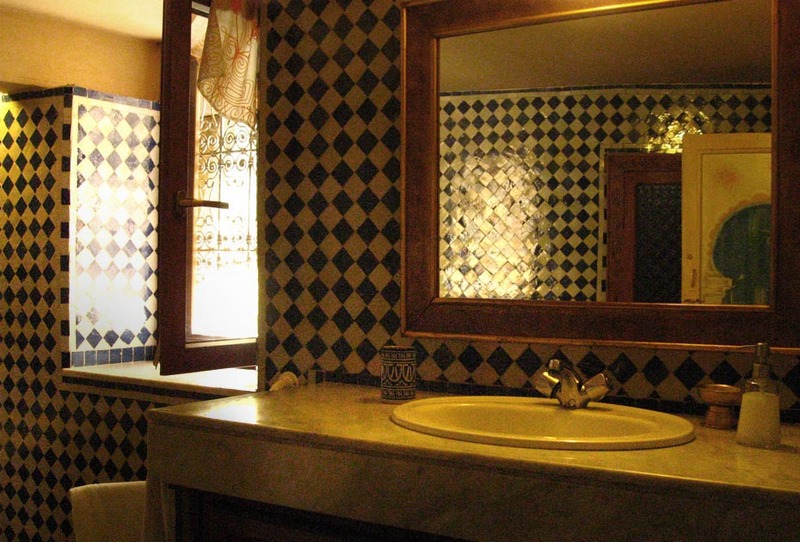 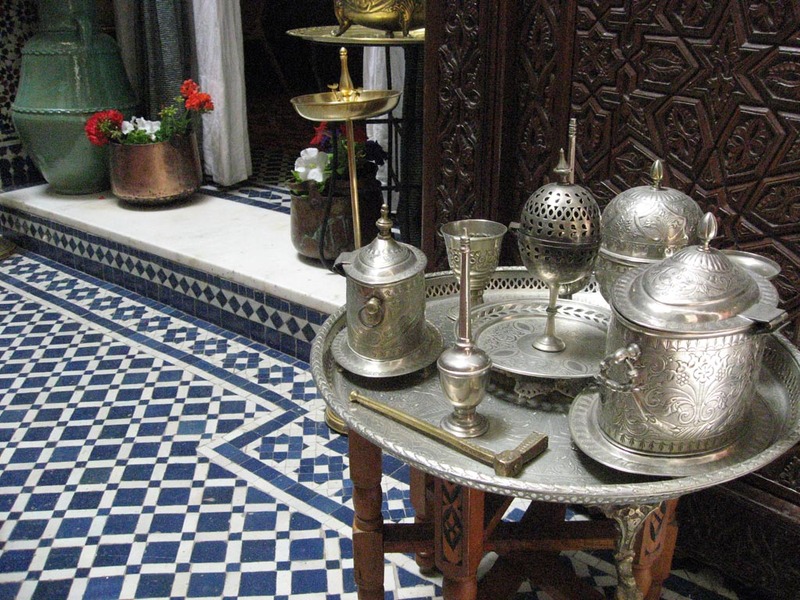 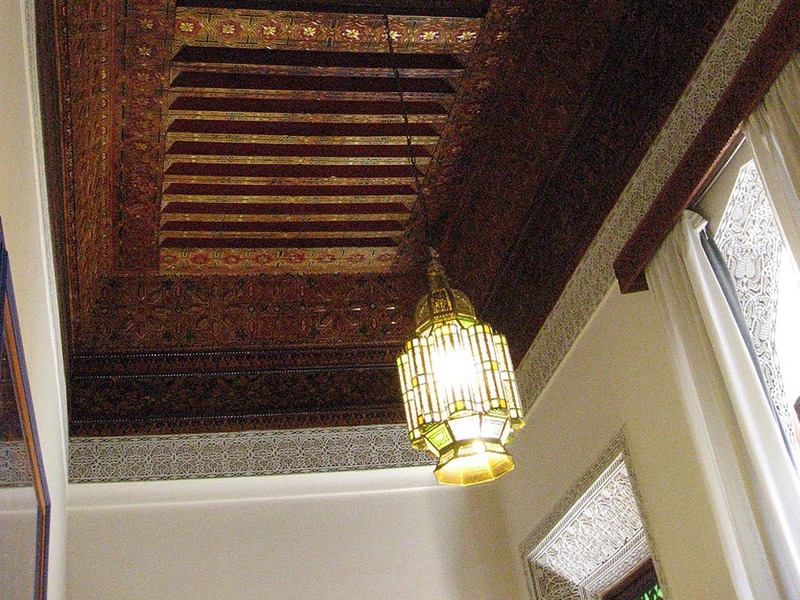 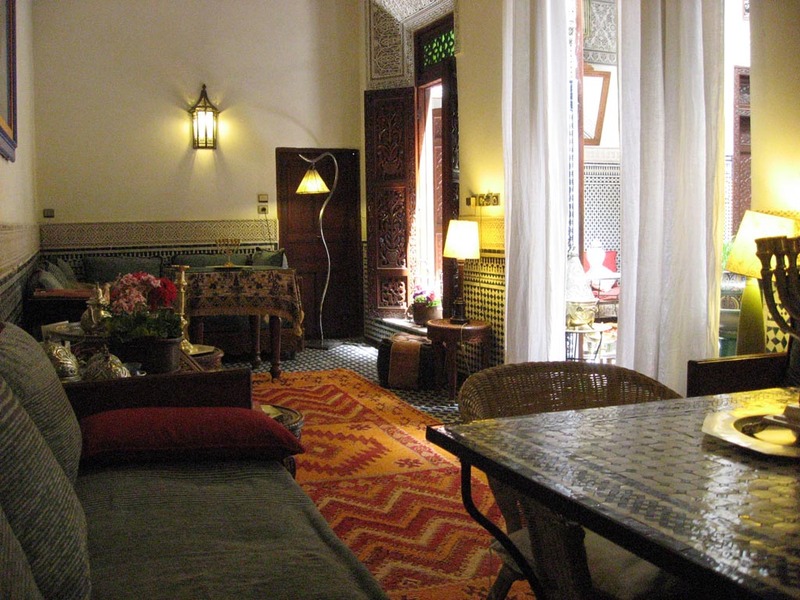 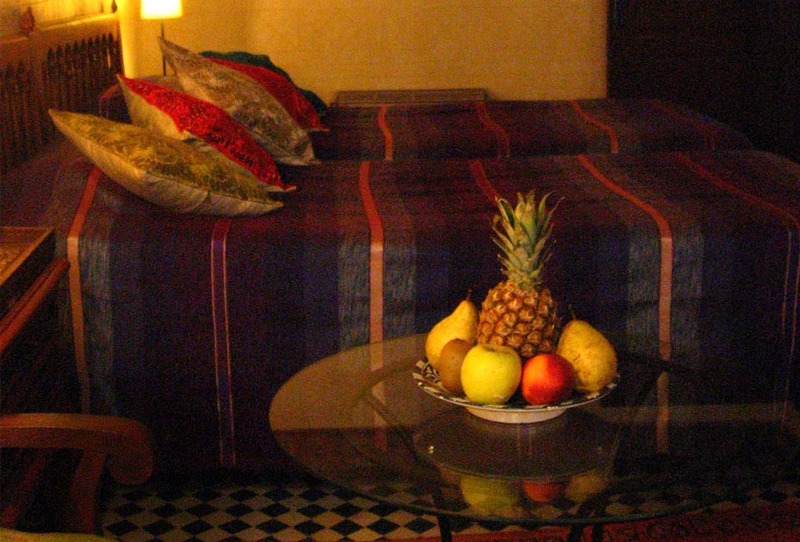 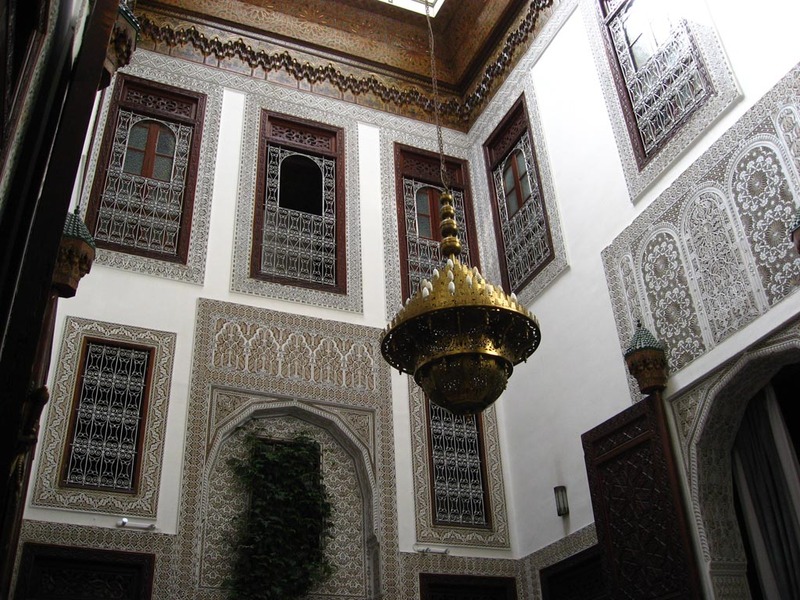 The walls are decorated with Fez tadelakt and the ceiling is of painted wood (2,10m height). 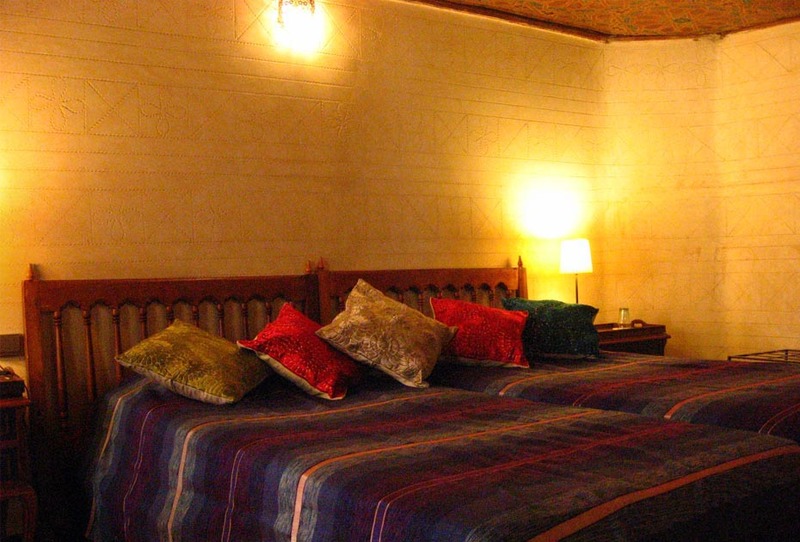 This room has two single beds, a desk and a full bathroom.